The potential to improve athletic performance by using a properly designed mouthguard is not a new idea. Dentists have, for some 40 years, noted improvements in athletic performance when athletes used a properly designed mouthguard. 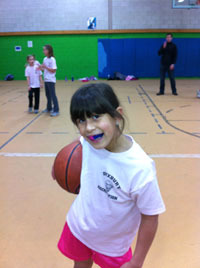 Still, for many, wearing a mouthguard while playing contact sports is viewed simply as a way to protect the teeth. football Players, boxers, hockey players, MMA Athletes and others can all be seen wearing (and often chewing on) their mouthguard on the field, on the ice and in the ring. It used to be that if you played a sport where you could get hit, you wear a mouthguard – any mouthguard – plain and simple and no thought required. While few serious athletes would consider competing with the wooden racquets of the 1970s, the shoes of bygone eras or outdated equipment in general, it is not uncommon to see today’s athletes using mouthguards little changed from their parents’ competitive days. Surely, there must be a better way! A properly fitted mouthguard reduces the chances of sustaining a concussion from a blow to the jaw. Mouthguards should be worn at all times during competition, in practice as well as in games. The American Dental Association recommends wearing custom mouthguards for the following sports: acrobats, basketball, boxing, field hockey, football, gymnastics, handball, ice hockey, lacrosse, racquetball, martial arts, racquetball, roller hockey, rugby, shot put, skateboarding, skiing, skydiving, soccer, squash, surfing, volleyball, water polo, weightlifting, wrestling. Since beginning work with the New England Patriots in 1979, Dr. Maher has learned about player complaints relating to existing mouth guards first-hand. Players expressed the need to be able to breathe, talk and drink with ease and comfort, both from the sidelines as well as during play, without having to take out their mouth guard. Based on scientific research by Jack Stenger at the University of Notre Dame. This revolutionary device not only held the jaw in place, but also allowed for continuation of common, everyday functions. After years of development, the final product materialized. In forming Mahercor Laboratories LLC, our hope is to aid in the prevention of concussions for all athletes participating in contact sports, from professionals to youth players. For more information please visit Agility Guard and Mahercor Laboratories.